Hi guys! I'm here again! For another product, as always. haha. This time, we are going to talk about sunblock. This is by far the most essential step or the most basic step to do before going out of your house. PUT ON YOUR SUNBLOCK! Especially if you are living in hot and sunny countries, like Singapore. This is to protect us from damaging UV rays from the sun. The consequences of not putting on sunblock - you get wrinkles easily and your skin will look dry & old. It is also good to put on some sun block even if you are staying at home and especially if you are always sitting beside the window. I went to the Pharmacy three months ago, searching for a new sunscreen to buy. The previous one that i was using was Laneige's sunscreen. I found that the Laneige sunscreen was coming a little too oily on my skin so i decided to change it. 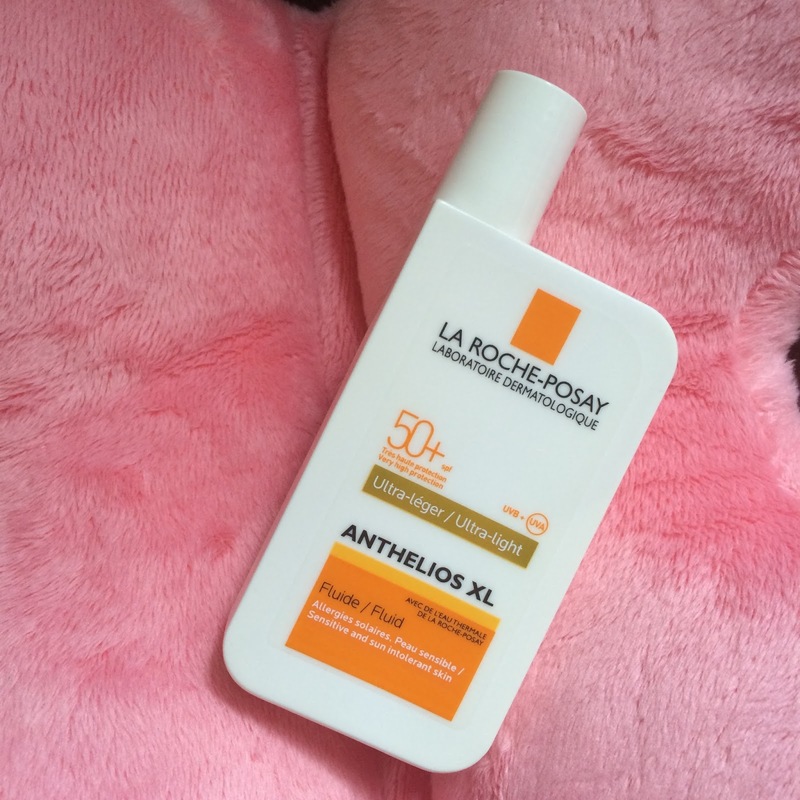 I bought the ultra light La Roche-Posay sunscreen and this is good for people with sensitive skin too.I I usually only need to apply a little bit to cover my whole face. A little goes a long way. Ok! Fast and Sweet: How does the end product feels like? It really feels light on your skin. When you first apply it on, you may still feel that the product is a little oily on your face. But after 3 minutes or do, that shine/oily feeling is gone, leaving you with a matte texture finished. I've been using this as long as i'm heading out. Comes in 50ml. SPF 50+ Made in France. Bought at Unity. I just found out that Lazada.sg sells the exact same product with a much lower price. I will insert the link here for you to check it out!